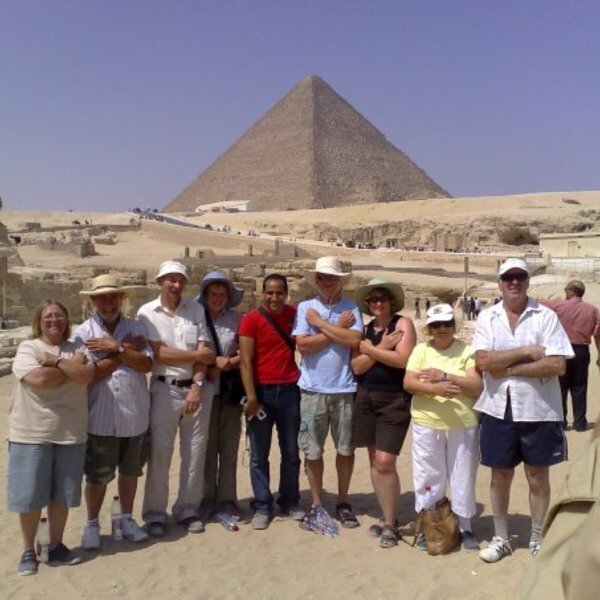 If you are coming to Alexandria on a cruise ship, please join me for two days tour of Cairo and the Pyramids. We'll visit Cairo which lies along the River Nile stretching up to 40 km from north to south . The citizens of Cairo proudly call their city the ' Mother of All Cities '. Cairo or Al Qahirah is not only the capital of Egypt but also the largest city in the Middle East and Africa. Then we'll travel to Giza Plateau, lying on the west bank of the River Nile opposite Cairo. Giza's main attractions are the three Pyramids. We'll also visit the Egyptian Museum showcasing over 6, 000 years of Egyptian history and much more . . . . Receive special offers, VIP invites and exclusive updates for Alexandria.